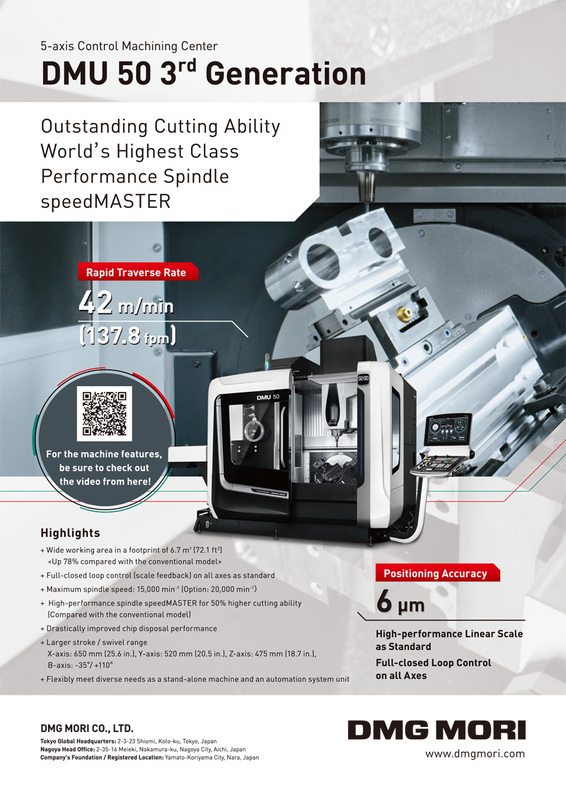 Parallel turning technology is considerably important in future multi-tasking machine tool because it has the potential to enhance the stability limits, compared to turning operations using a single tool. Although stability prediction models for parallel turning have been developed recently, the technique of in-process monitoring of chatter is almost out of focus. In this study, the monitoring of chatter based on the sensorless cutting force/torque technique was evaluated in the parallel turning and cutting of the same surface of an elongated workpiece. Two cutting force/torque estimation methods were evaluated: a conventional disturbance observer (DOB) using internal information from a servomotor and a multi-encoder-based disturbance observer (MEDOB) using load-side position/angular information as well. In the DOB-based monitoring, chatter frequency components were observable regardless of the guideway type and drive system. However, chatter monitoring may be difficult when the angle of the servomotor is changed slightly because of the damping properties of the sliding guideway. In the MEDOB-based monitoring, the waveform of the estimated cutting force reflected the vibrational state at the cutting point well, and the extraction of chatter frequency components became easier regardless of the guideway type. Y. Yamada, T. Kadota, S. Sakata, J. Tachibana, K. Nakanishi, M. Sawada, and Y. Kakinuma, “Integrated Chatter Monitoring Based on Sensorless Cutting Force/Torque Estimation in Parallel Turning,” Int. J. Automation Technol., Vol.11, No.2, pp. 215-225, 2017. G. Quintana and J. Ciurana, “Chatter in machining processes: A review,” Int. J. Mach. Tools Manuf., Vol.51, No.5, pp. 363-376, 2011. M. Siddhpura and R. Paurobally, “A review of chatter vibration research in turning,” Int. J. Mach. Tools Manuf., Vol.61, pp. 27-47, 2012. Y. Altintas and E. Budak, “Analytical Prediction of Stability Lobes in Milling,” CIRP Ann. – Manuf. Technol., Vol.44, No.1, pp. 357-362, 1995. M. Eynian and Y. Altintas, “Chatter Stability of General Turning Operations With Process Damping,” J. Manuf. Sci. Eng., Vol.131, No.4, p. 041005, 2009. N. Suzuki, K. Nishimura, E. Shamoto, and K. Yoshino, “Effect of Cross Transfer Function on Chatter Stability in Plunge Cutting,” J. Adv. Mech. Des. Syst. Manuf., Vol.4, No.5, pp. 883-891, 2010. K. Shimana, E. Kondo, H. Karashima, and N. Kawagoishi, “Fast Detection of Chatter in End-Milling Using Pseudo Auto-Correlation Function,” Int. J. Autom. Technol., Vol.6, No.6, pp. 728-735, 2012. J. Tlusty and G. C. Andrews, “A Critical Review of Sensors for Unmanned Machining,” CIRP Ann. – Manuf. Technol., Vol.32, No.2, pp. 563-572, 1983. M. Mitsuishi, T. Nagao, Y. Hatamura, and S. Warisawa, “Real-Time Machining State Detection Using Multiaxis Force Sensing,” CIRP Ann. – Manuf. Technol., Vol.41, No.1, pp. 505-508, 1992. G. R. Frumucsanu, A. Epureanu, and I. C. Constantin, “Method for early detection of the regenerative instability in turning,” Int. J. Adv. Manuf. Technol., Vol.58, No.1-4, pp. 29-43, 2011. E. Soliman and F. Ismail, “Chatter detection by monitoring spindle drive current,” Int. J. Adv. Manuf. Technol., Vol.13, No.1, pp. 27-34, 1997. M. Lamraoui, M. Thomas, M. El Badaoui, and F. Girardin, “Indicators for monitoring chatter in milling based on instantaneous angular speeds,” Mech. Syst. Signal Process., Vol.44, No.1-2, pp. 72-85, 2014. Y. Kakinuma, Y. Sudo, and T. Aoyama, “Detection of chatter vibration in end milling applying disturbance observer,” CIRP Ann. – Manuf. Technol., Vol.60, No.1, pp. 109-112, 2011. M. Takei, D. Kurihara, S. Katsura, and Y. Kakinuma, “Hybrid control for machine tool table applying sensorless cutting force monitoring,” Int. J. Autom. Technol., Vol.5, No.4, pp. 587-593, 2011. K. Ohnishi, M. Shibata, and T. Murakami, “Motion control for advanced mechatronics,” IEEE/ASME Trans. Mechatronics, Vol.1, No.1, pp. 56-67, 1996. A. Matsubara and S. Ibaraki, “Monitoring and control of cutting forces in machining processes: A Review,” Int. J. Autom. Technol., Vol.3, No.4, pp. 445-456, 2009. E. Budak and E. Ozturk, “Dynamics and stability of parallel turning operations,” CIRP Ann. – Manuf. Technol., Vol.60, No.1, pp. 383-386, 2011. C. Brecher, A. Epple, S. Neus, and M. Fey, “Optimal process parameters for parallel turning operations on shared cutting surfaces,” Int. J. Mach. Tools Manuf., Vol.95, pp. 13-19, 2015. C. Brecher, Y. Trofimov, and S. Bäumler, “Holistic modelling of process machine interactions in parallel milling,” CIRP Ann. – Manuf. Technol., Vol.60, No.1, pp. 387-390, 2011. E. Budak, A. Comak, and E. Ozturk, “Stability and high performance machining conditions in simultaneous milling,” CIRP Ann. – Manuf. Technol., Vol.62, No.1, pp. 403-406, 2013. E. Shamoto, T. Mori, B. Sencer, N. Suzuki, and R. Hino, “Suppression of regenerative chatter vibration in multiple milling utilizing speed difference method,” Precis. Eng., Vol.37, No.3, pp. 580-589, 2013. C. Mitsantisuk, M. Nandayapa, K. Ohishi, and S. Katsura, “Design for Sensorless Force Control of Flexible Robot by Using Resonance Ratio Control Based on Coefficient Diagram Method,” Autom. – J. Control. Meas. Electron. Comput. Commun., Vol.54, No.1, pp. 62-73, 2013. Y. Yamada and Y. Kakinuma, “Sensorless cutting force estimation for full-closed controlled ball-screw-driven stage,” Int. J. Adv. Manuf. Technol., 2016 (in press). R. Koike, Y. Kakinuma, T. Aoyama, and K. Ohnishi, “Development of Chatter Vibration Detection utilizing Disturbance Observer (2nd Report),” J. Japan Soc. Precis. Eng., Vol.81, No.7, pp. 692-698, 2015 (in Japanese).